Even if you aren't a fan of ombre, this no sew Christmas tree skirt tutorial might come in handy. It is the perfect addition to a Christmas tree, even if you did it in a solid color. I do think a red ombre Christmas tree skirt would be pretty fabulous though. 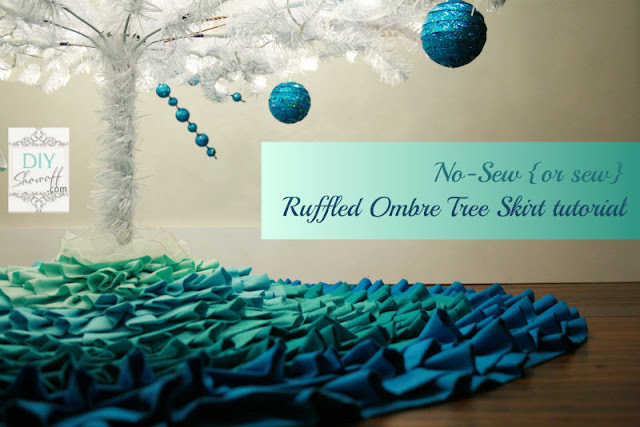 You can check out this DIY new sew ombre Christmas tree skirt over at DIY Showoff. Lorie! What a sweet surprise! Thank you so much for featuring my tree skirt! :) Smiling first thing this morning is a great way to start the day!